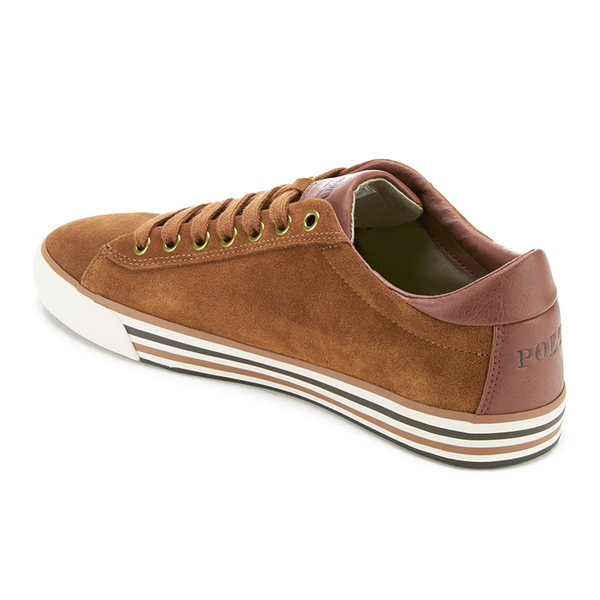 Men’s tan suede low top trainers with leather detailing from Polo Ralph Lauren. Crafted from premium suede uppers, the ‘Harvey’ sneakers comprise a padded collar, a flat lace up fastening and gold-toned eyelets. 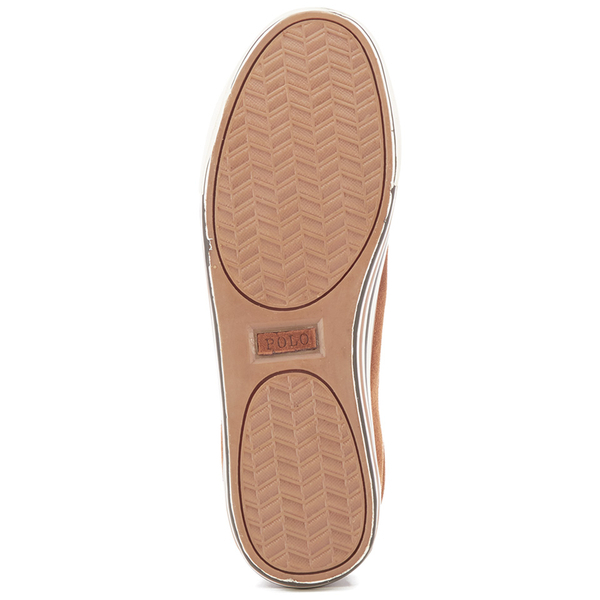 Set on a chunky contrast rubber sole with stripe print. Featuring tonal leather trims to the heel and tongue and complete with the iconic embroidered pony logo to the side. I got a pair of these a year ago in grey and they are good trainers. Comfy, warm and stylish. True to size and good heel support. Because they are suede they are hard to keep clean so they dont do well with mud or water!